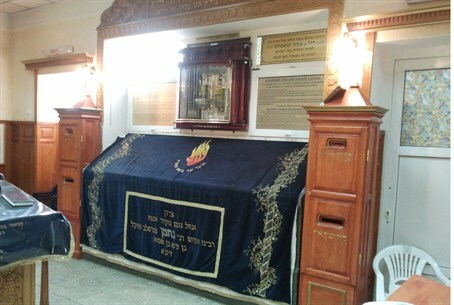 A member of the Breslov hassidic group said he was violently attacked Monday morning as he visited the grave of Rabbi Nachman of Breslov, located in the Ukrainian city of Uman. The Israeli citizen, who had gone on a pilgrimage to the site, was badly injured, suffering at least one broken rib. He is being treated in a hospital in the area, and is set to be flown home Monday or Tuesday. According to the victim, he had gone to pray at a synagogue next to the grave early Monday, when he was set upon by several thugs, who were apparently drunk. The group shouted anti-Semitic slogans and displayed Nazi salutes, and then began beating the Israeli. The group then ran away, and a medic treated the man on site before taking him to a local hospital. Several Israelis who live in the area rushed out to help, with one telling Israel Radio in an interview Monday that such incidents were not rare. Tens of thousands of Israelis, along with Jews from the U.S. and Europe, visit the site annually, and are the only tourists who visit the area, bringing with them millions of dollars that helps prop up the local economy. Most of the visitors are members of the Breslov hassidic group.